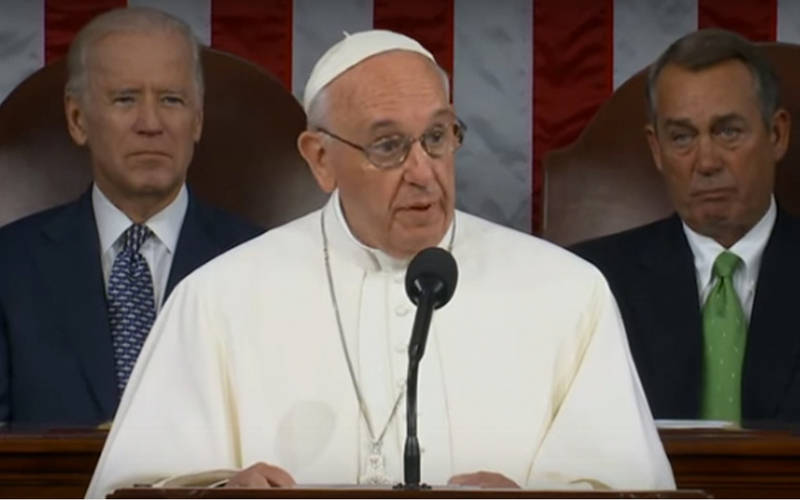 Pope Francis’ message to members of Congress this week to “do unto others as you would have them do to unto you,” did little to temper the latest game of chicken on Capitol Hill over potentially shutting down the federal government to achieve a specific political objective. A number of conservatives in the House and Senate— backed by most Republican presidential candidates—are pushing a shutdown to block funding to Planned Parenthood as the result of a series of videos alleging the women’s health care group illegally sold fetal tissue. Senate Democrats—as expected—Sept. 24 blocked a proposal from Senate Majority Leader Mitch McConnell (R-Ky.) to fund the entire federal government except Planned Parenthood through mid-December. McConnell has repeatedly said that despite their Senate majority, Republicans do not have the votes to stop Democrats from blocking such legislation or to override a guaranteed presidential veto. After demonstrating that fact and providing his members with a vote to show they don’t support Planned Parenthood funding, McConnell rolled out a separate short-term funding bill to keep federal funds flowing—including to Planned Parenthood—once the new fiscal year begins Oct. 1 through Dec. 11. It is expected to garner sufficient support from Republicans and Democrats to pass the Senate. The House situation is even more complicated and uncertain. A faction of House Republicans are actively campaigning for a government shutdown over Planned Parenthood funding. Added to that is House Speaker John Boehner’s (R-Ohio) abrupt Sept. 25 announcement that he is resigning from Congress at the end of October. While the battle over Planned Parenthood has nothing to do with federal transportation investment, a government shutdown would impact many transportation programs. As we reported before the 16-day shutdown in 2013 over GOP efforts to defund the Affordable Care Act (Obamacare), the federal highway program and most of the public transportation program would be unaffected as funds from these programs have been distributed from the Highway Trust Fund (HTF) through Oct. 29—the expiration date of the latest surface transportation extension. However, funding for the transit capital programs, which comes from the federal general fund and not the HTF, would be suspended. Nearly one-third of the U.S. Department of Transportation’s workforce would be furloughed. While all Federal Highway Administration employees—who are paid out of the HTF—would continue to work, nearly all Federal Transit Administration employees and one-third of Federal Aviation Administration employees would be part of any shutdown. We will keep you posted as this situation evolves in the coming days.